Die 3 egg omelette is an incredibly light, delicious and easy meal to prepare. Perfect for breakfast, brunch, lunch or dinner really. This meal option can fit anywhere in the day. But I always be sure to pack it full and tight of lightly sauteed vegetables. The healthier the better for me. When you fill it tight, it’s also a lot more satisfying. I find it curbs the hunger longer or perhaps for the rest of the day. The secret to success when cooking an omelette is to have your omelette pan well covered with melted butter. zusätzlich, have the temperature on high, at least in the beginning. This meal, including vegetable saute (in a separate pan), takes about 10-15 Minuten. You can’t get a whole, complete warm meal anywhere else in that time span. 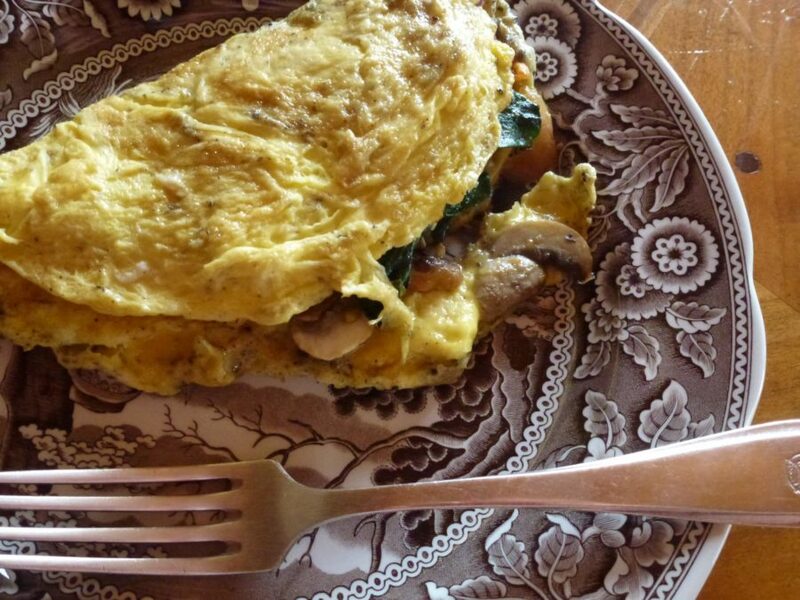 Work w/ a hot, well coated pan, and your story of the omelette will too be a success. 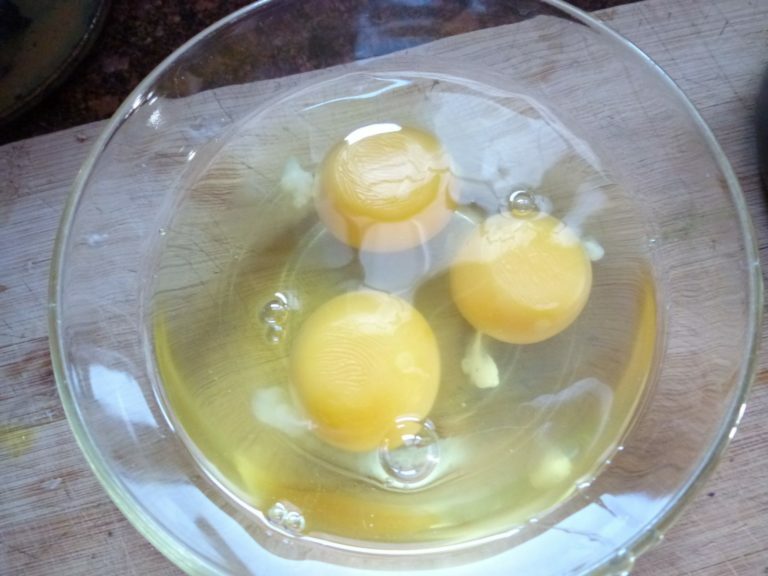 in the mean time, whisk your 3 eggs until well beaten. 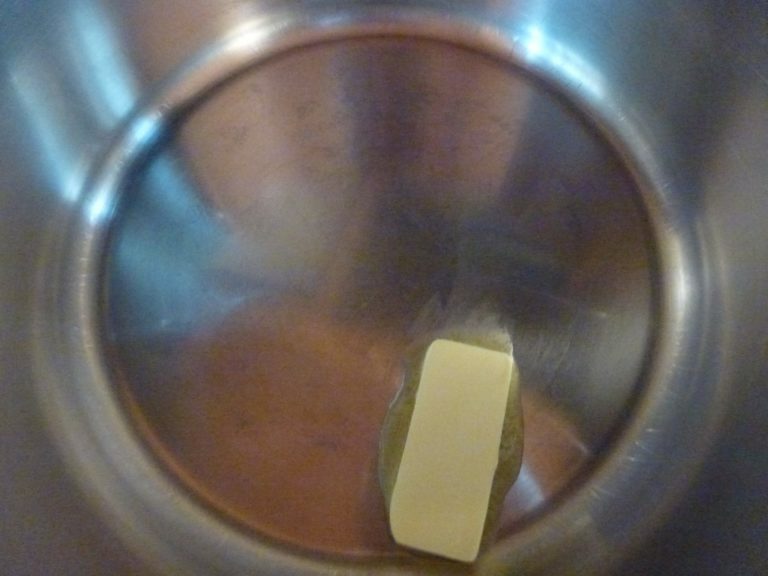 Pour into the melted butter, over high heat. Let it cook for a few minutes, then turn heat down a notch or two, to avoid burning the underside of the omelette. When the omelette is stable to flip, then flip. Add your sauteed veg. mixture, fold in half and serve.